So tell me mama please why you be drinking all the time? Does all the pain he brought you still linger in your mind? For what's money without hapiness? 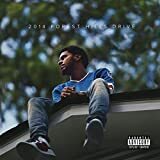 "Niggaz Know": J.Cole stellt Album mit neuem Track vor! "Power Trip": J. Cole enthüllt neue Single ft. Miguel! Der neue Star-Rapper J. Cole mit "Work Out"